This feature requires twice the amount of disk space, per cube. Also, this feature requires editing the cube class in Atelier. The system generates a version-specific fact table and dimension tables for each cube version. To make the newest cube version available, it must be activated. At this point, the system momentarily blocks any queries from being run and then switches to the newest version. The cube logical name is redirected automatically to the active cube. The Analyzer and other user interfaces use only the cube logical name and thus see only the active cube. Similarly, if you use methods in %DeepSee.Utils and you specify the cube logical name without a version number, the system runs the method against the active cube. 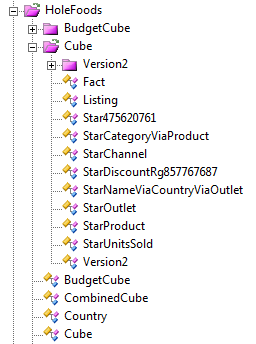 When you update the cube version number (in Atelier) and recompile, that creates a pending cube, which you can then build. 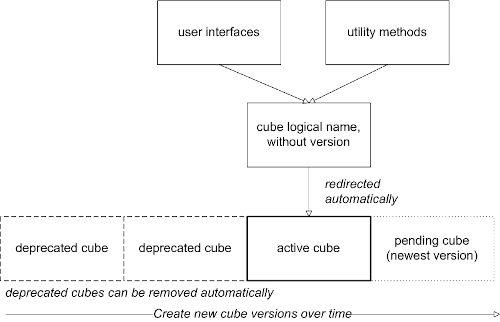 When you are ready, you use a utility method to activate the cube, which causes the pending cube to become active and causes the previously active cube to become deprecated. To make this change and the next, it is necessary to use Atelier. Activate the related cubes in the same order in which you build them. 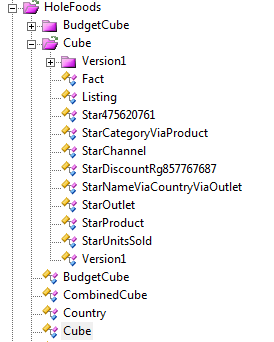 See “Determining the Build Order for Related Cubes” in Advanced Modeling for InterSystems Business Intelligence. 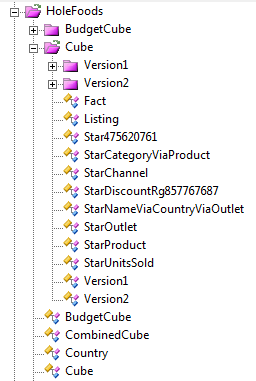 When you use this method for the first time, in the transition from a non-versioned cube, it removes the data stored in the fact table and so on for the non-versioned cube. It does not remove the non-versioned generated classes, which the system needs.